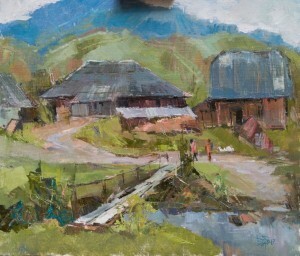 "Uzhok Motives. 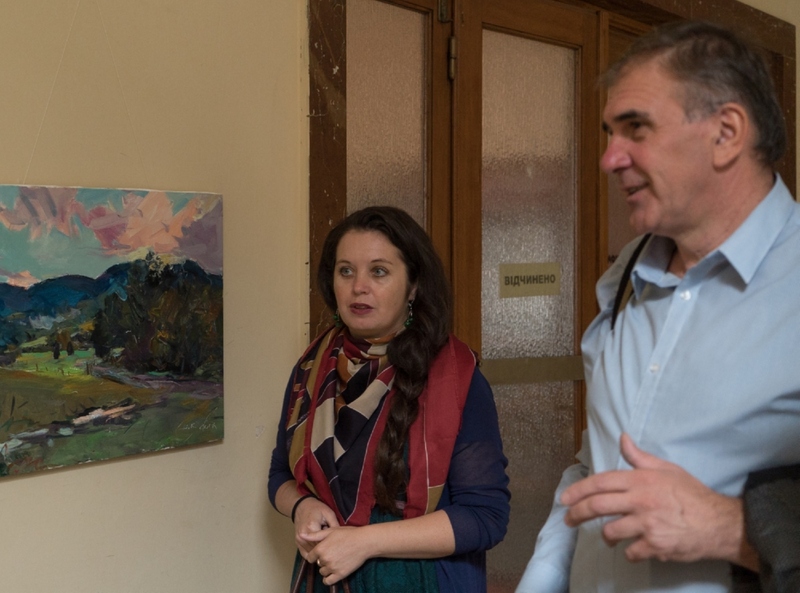 Emerald Colours of Stuzhytsia Village"– the title of the exhibition of paintings, which was opened on Tuesday, September 26, 2017, in the hall-atrium of the Transcarpathian Regional State Administration. 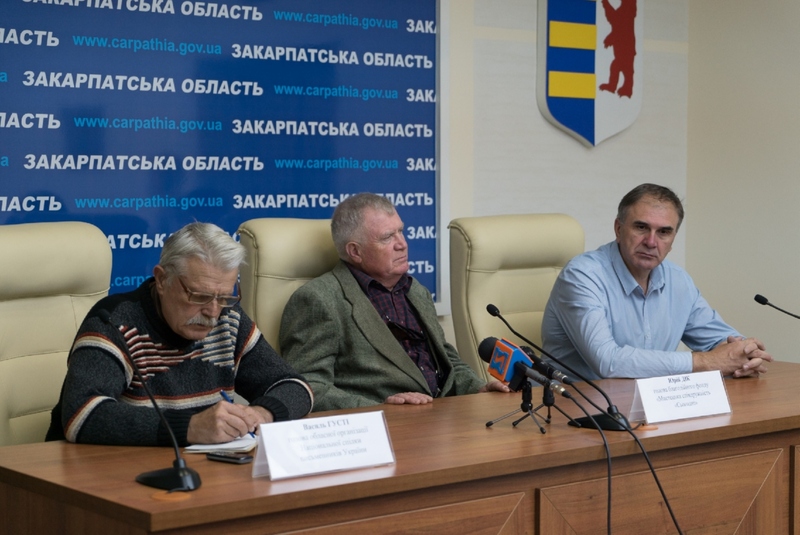 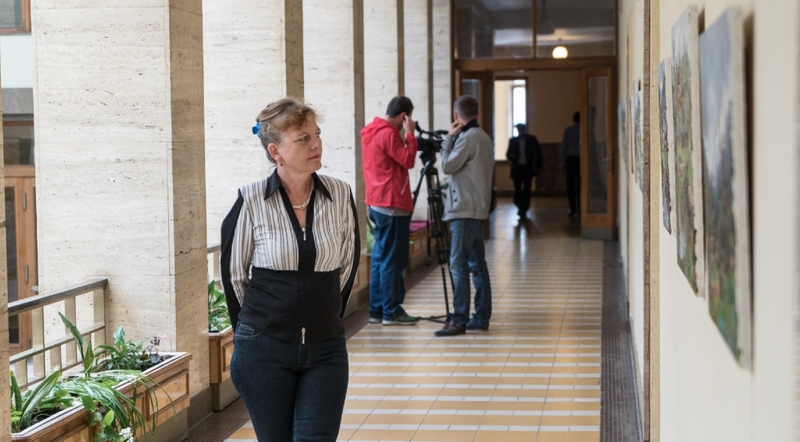 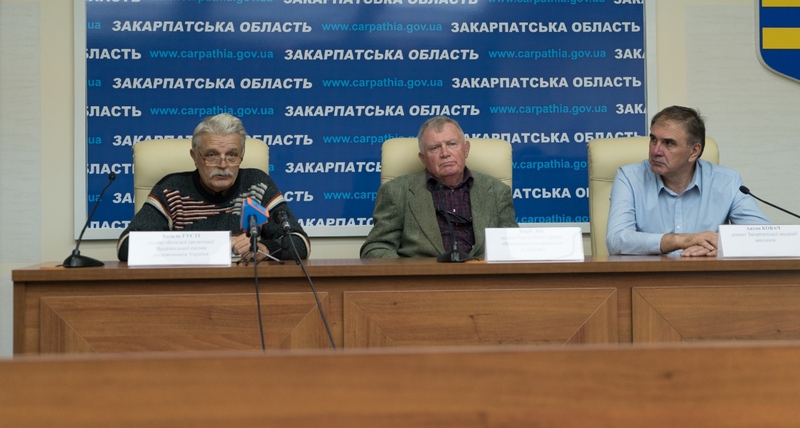 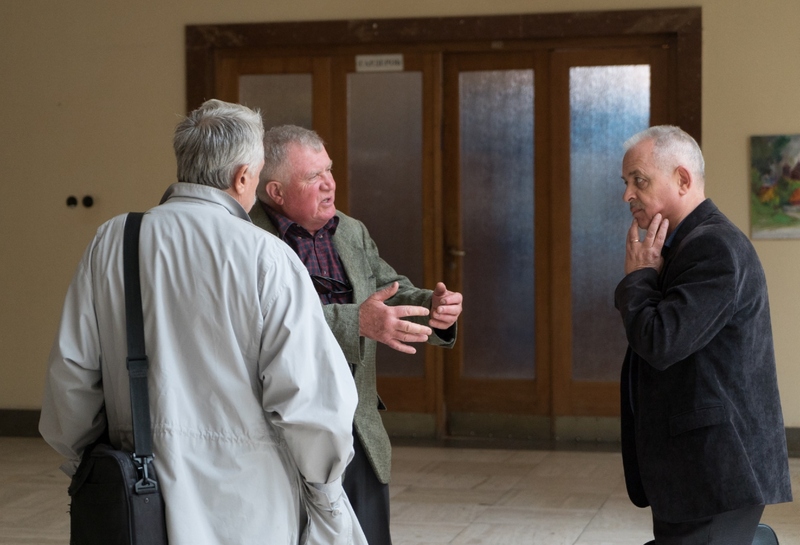 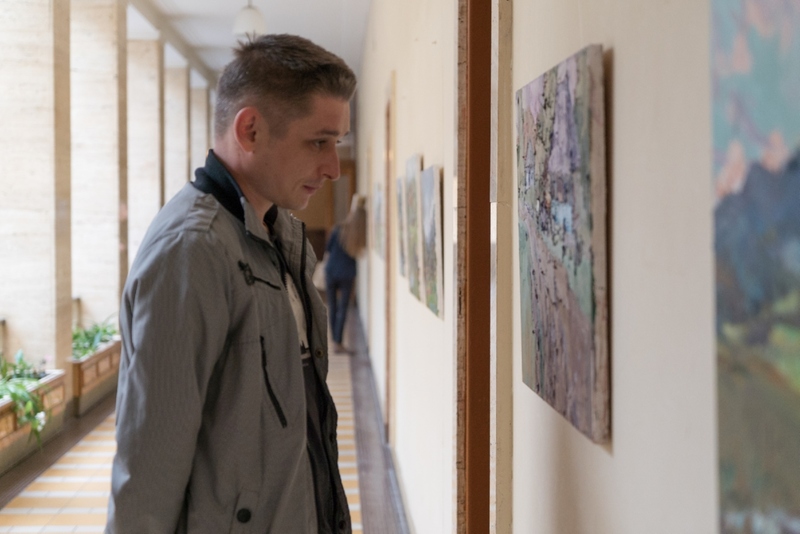 About three dozen paintings by ten artists from Ukraine, including Olena Kondratiuk, Vasyl Krasokha, Volodymyr Sandiuk, Viktor Stohnut, Orest Kosar, Oleksandr Kryushyn, Anton Kovach, Vasyl Dub, Oleksandr Shandor, Serhii Zavadiak were presented at the opening ceremony. 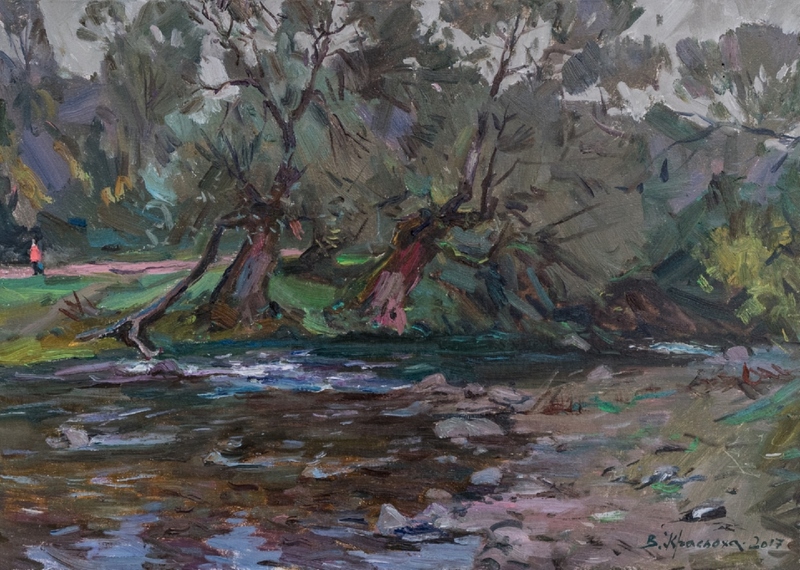 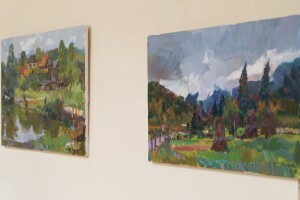 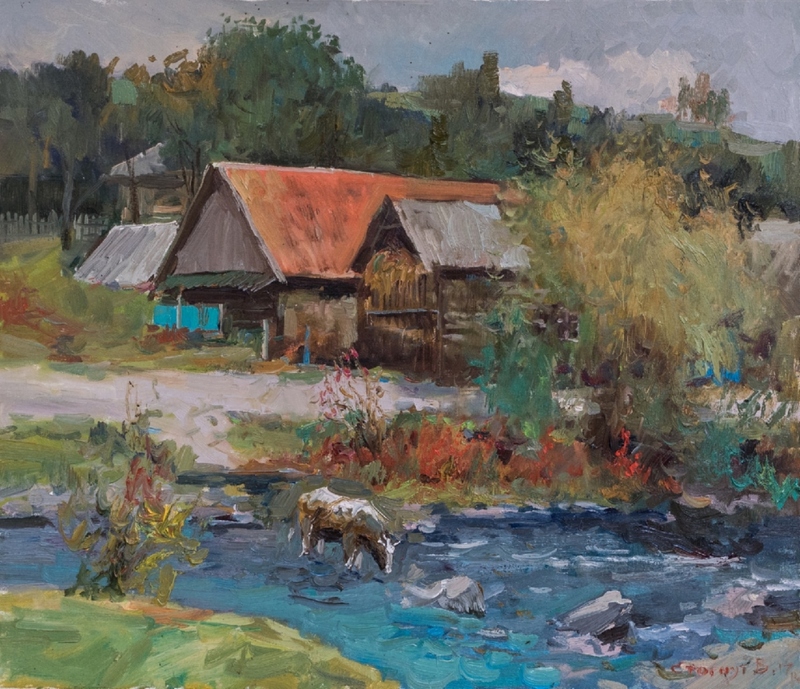 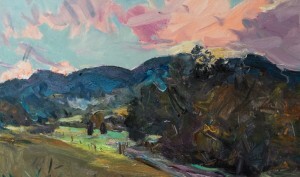 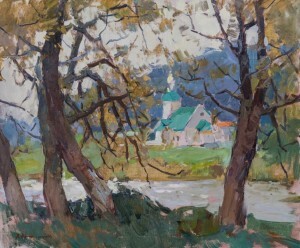 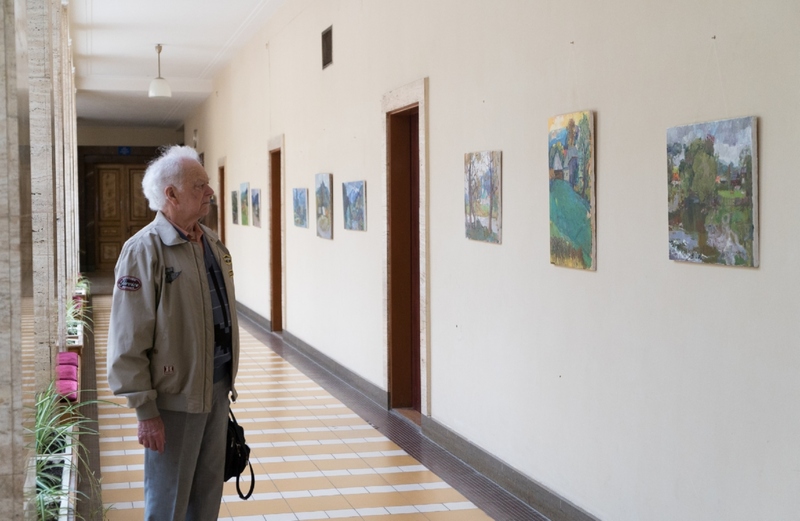 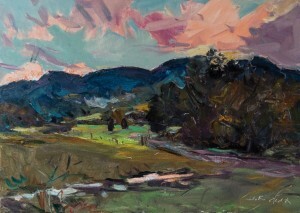 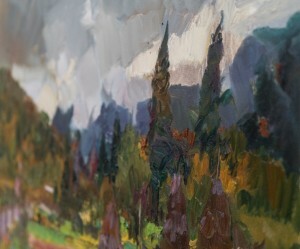 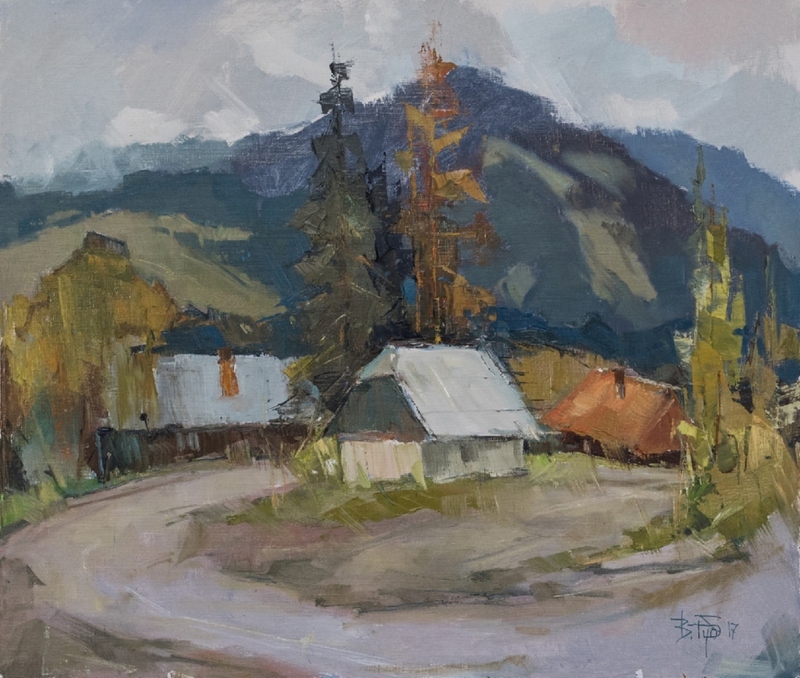 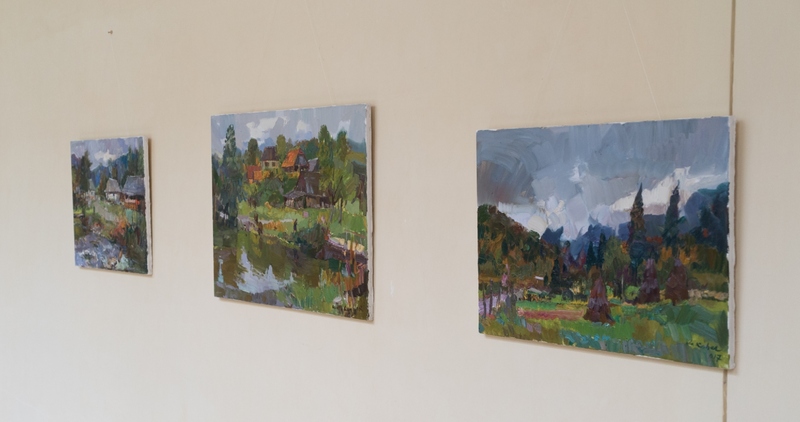 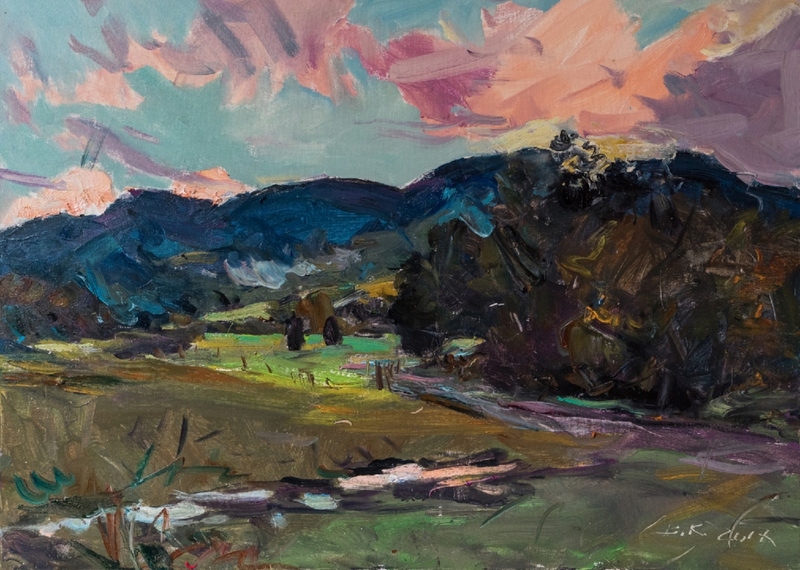 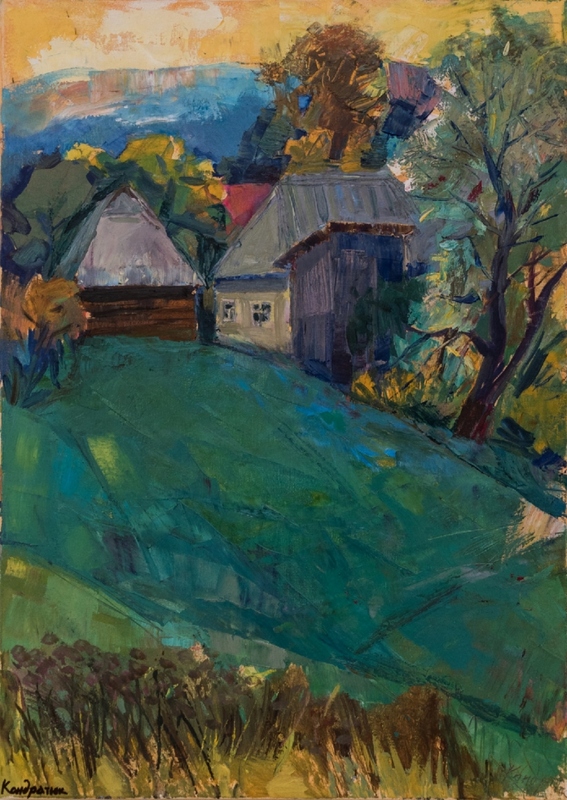 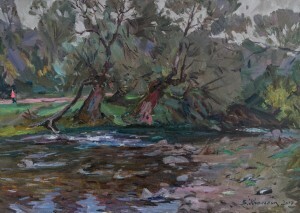 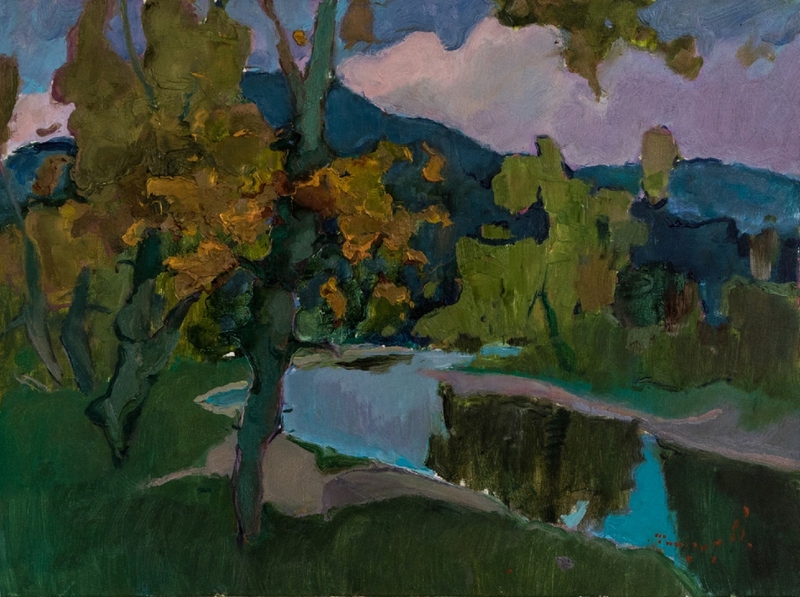 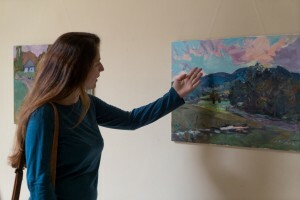 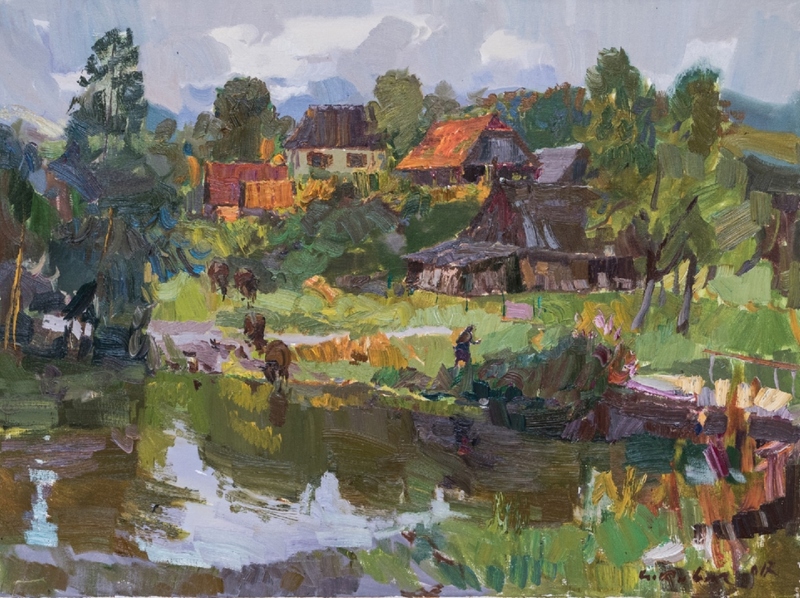 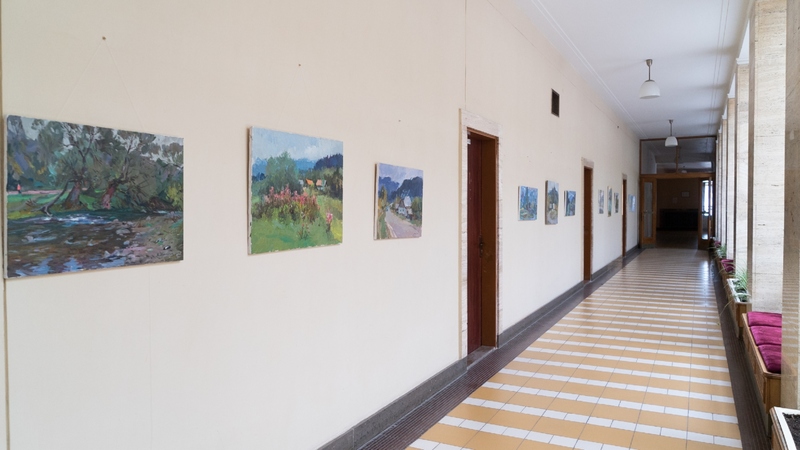 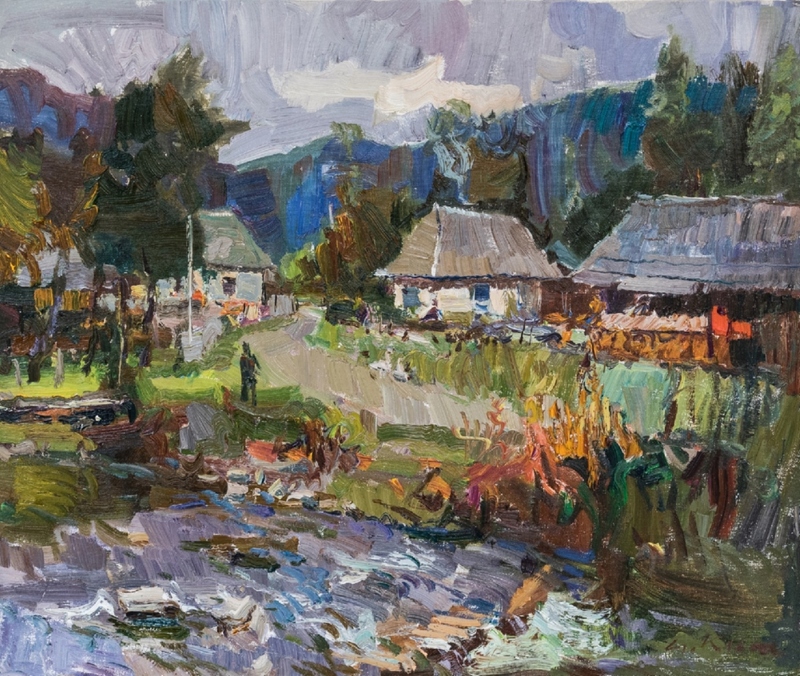 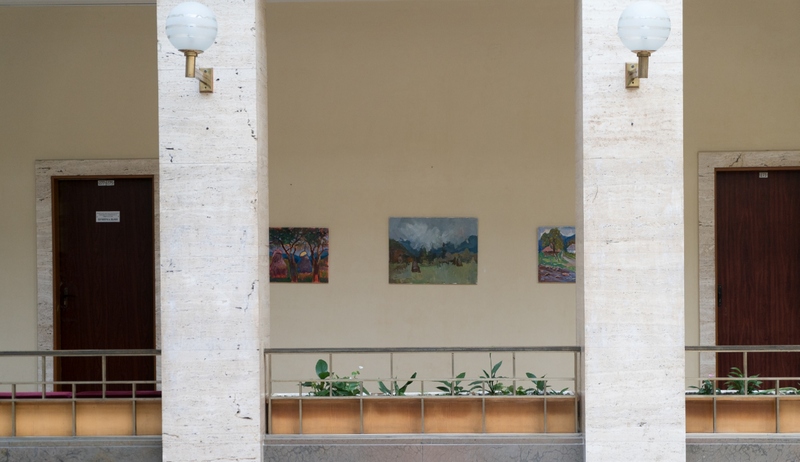 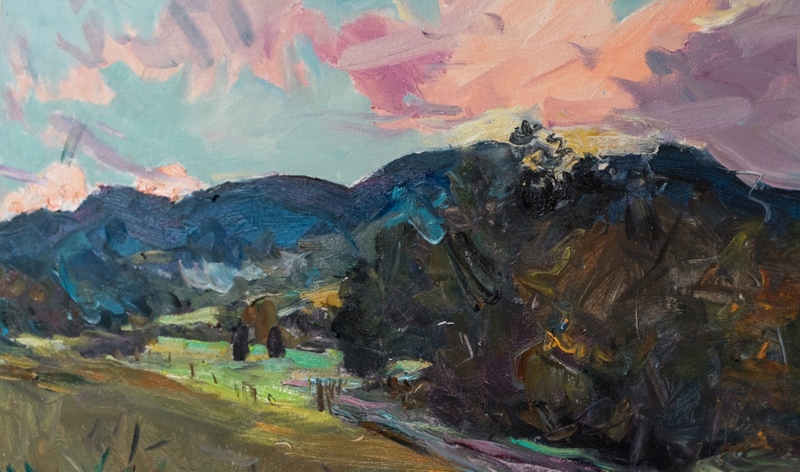 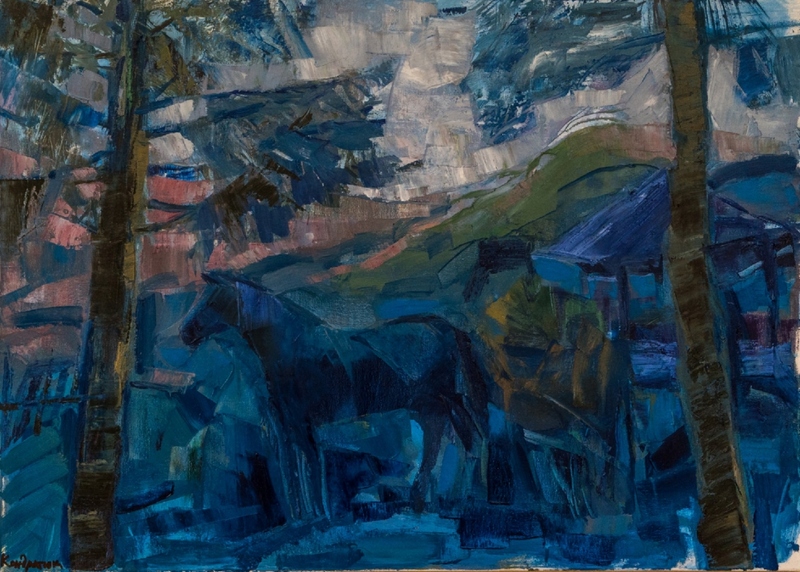 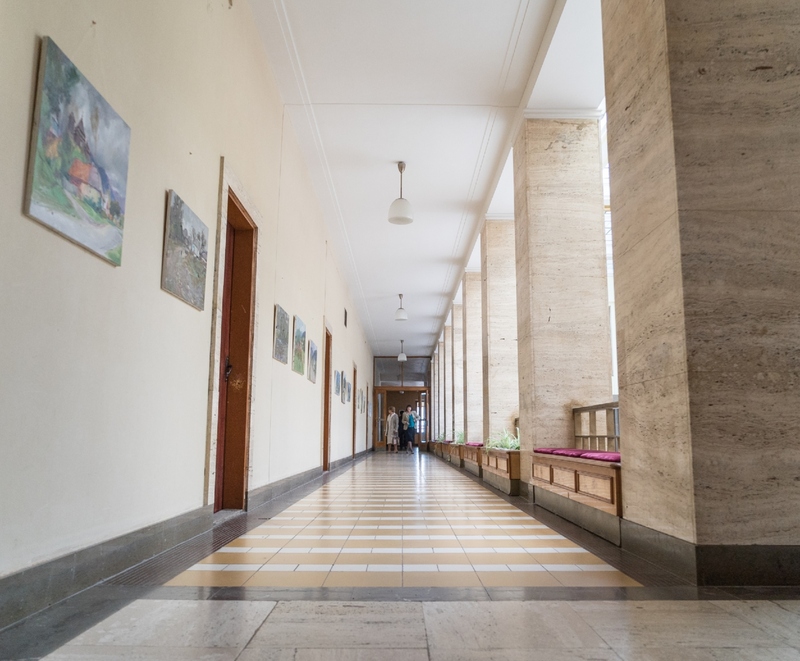 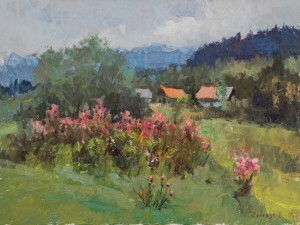 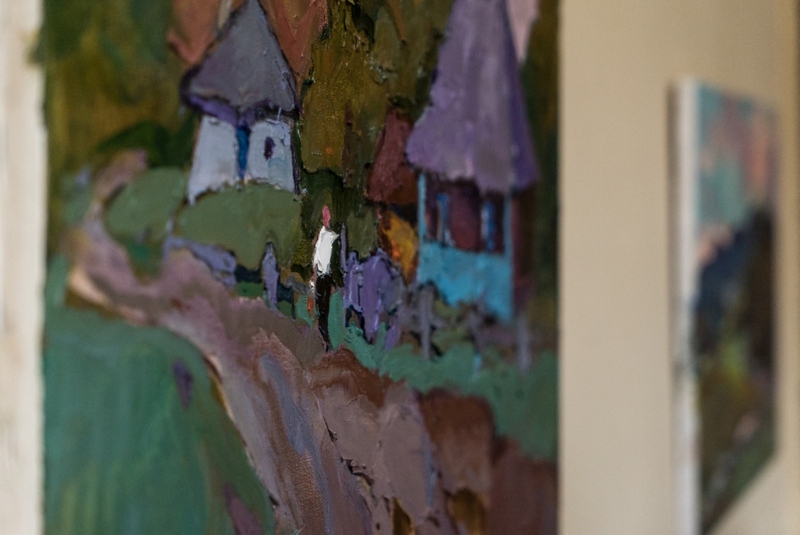 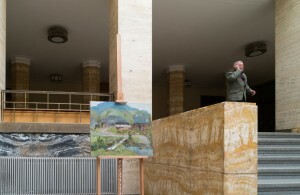 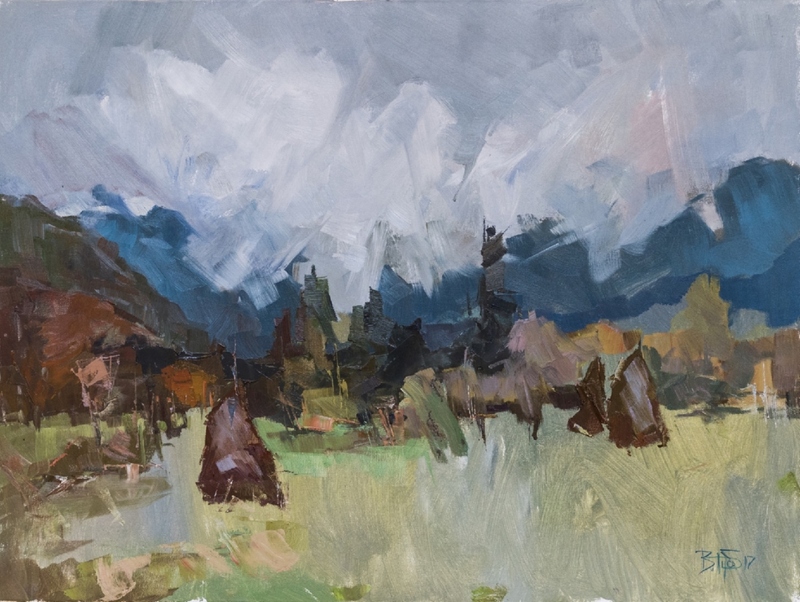 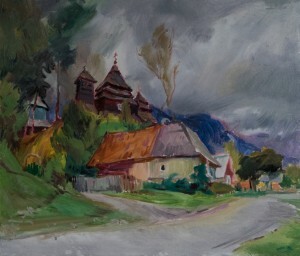 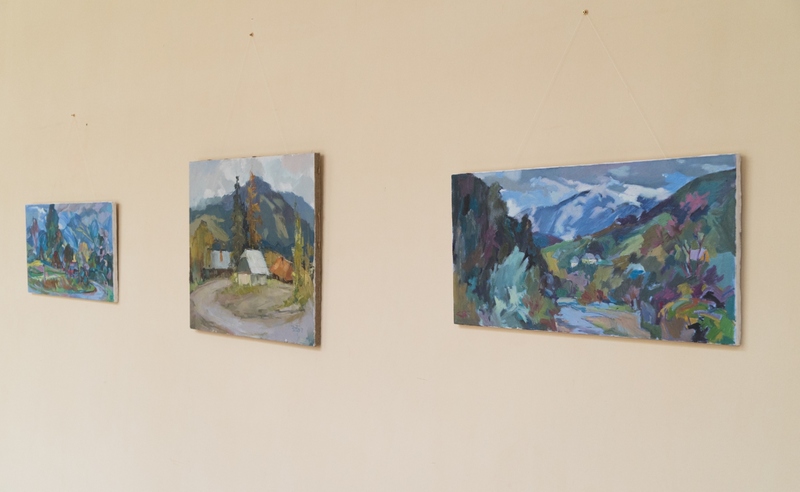 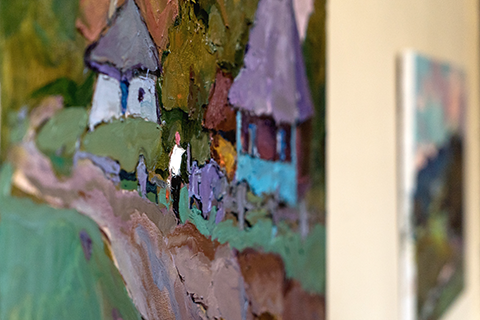 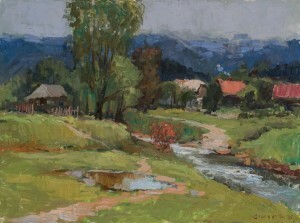 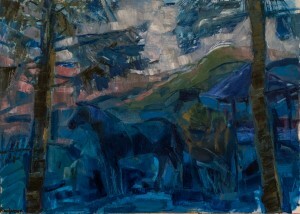 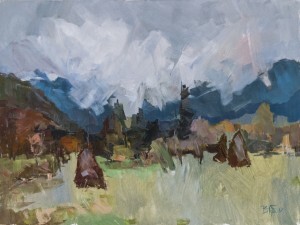 Exhibited canvases are the result of a week-long plein air in the painting Velykyi Bereznyi district of the Transcarpathian region, which was long and fruitfully prepared by the organizers. 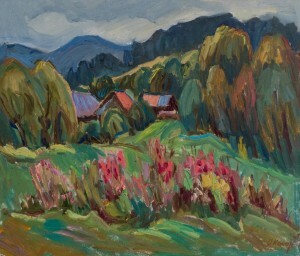 The tradition to conduct art trips to the nature in this region has continued from the 50s of the last century. 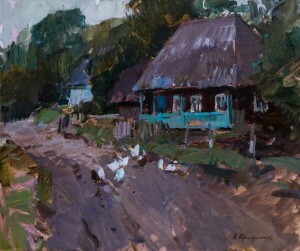 Stavne, Stuzhytsia villages remember the figures of A. Erdeli and T. Yablonska. 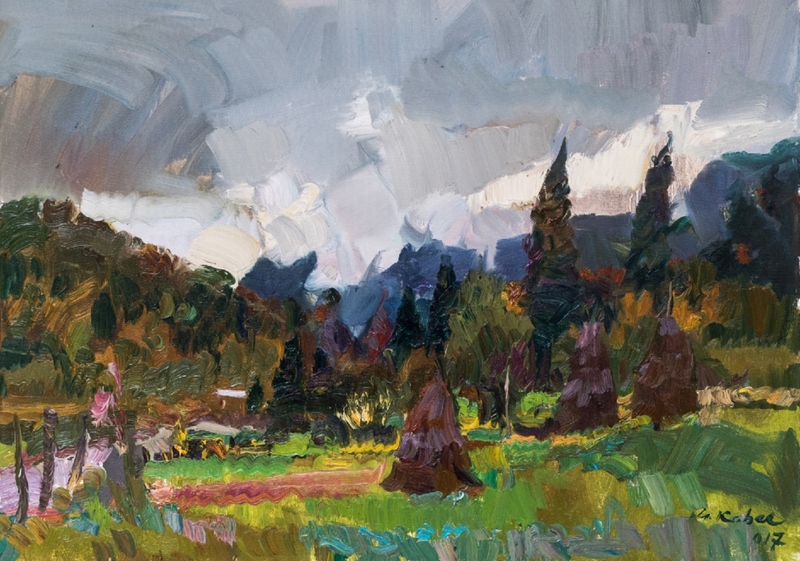 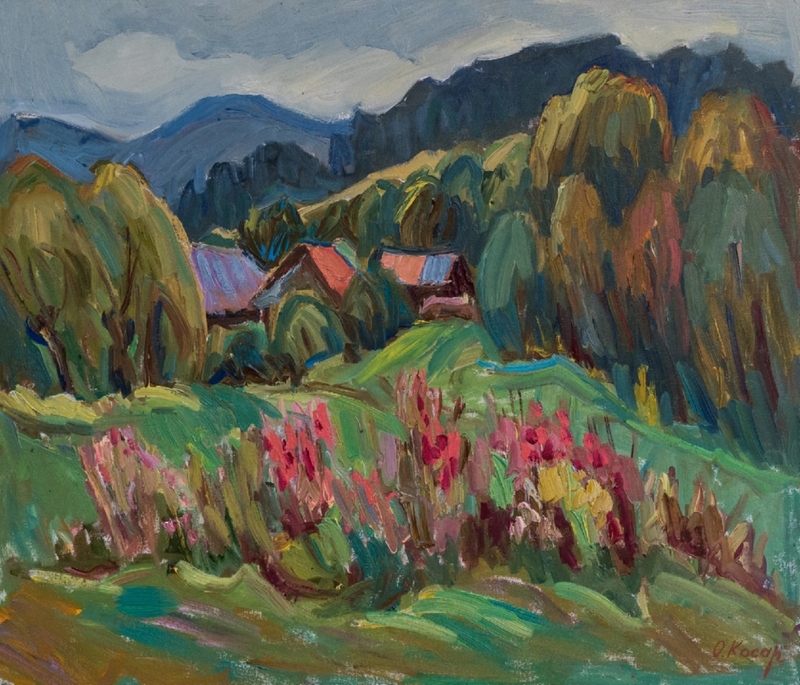 During the exhibition, the artists noted that there was a special aura in the mountains, a truly powerful source of inspiration and spiritual enrichment. 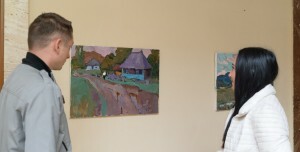 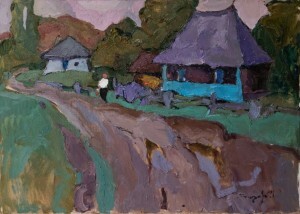 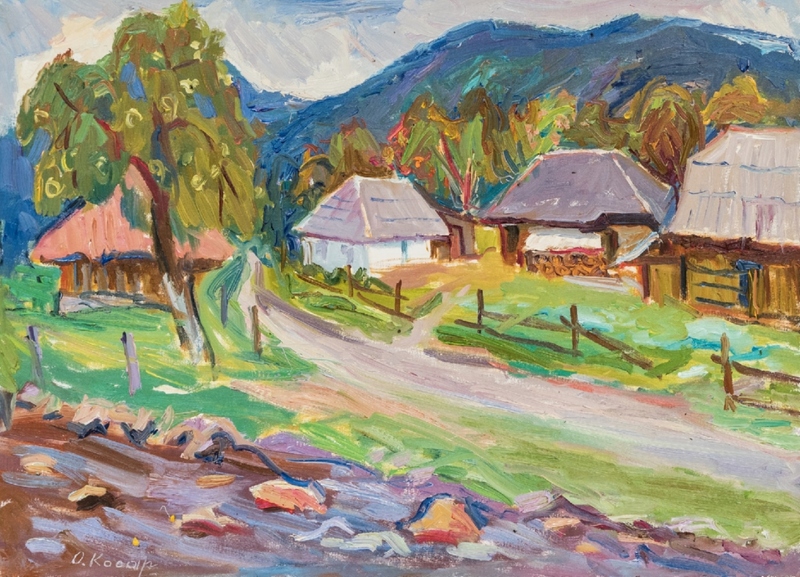 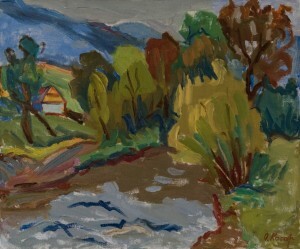 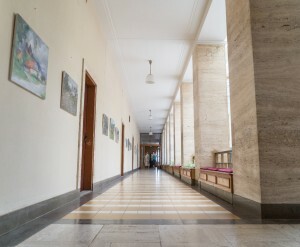 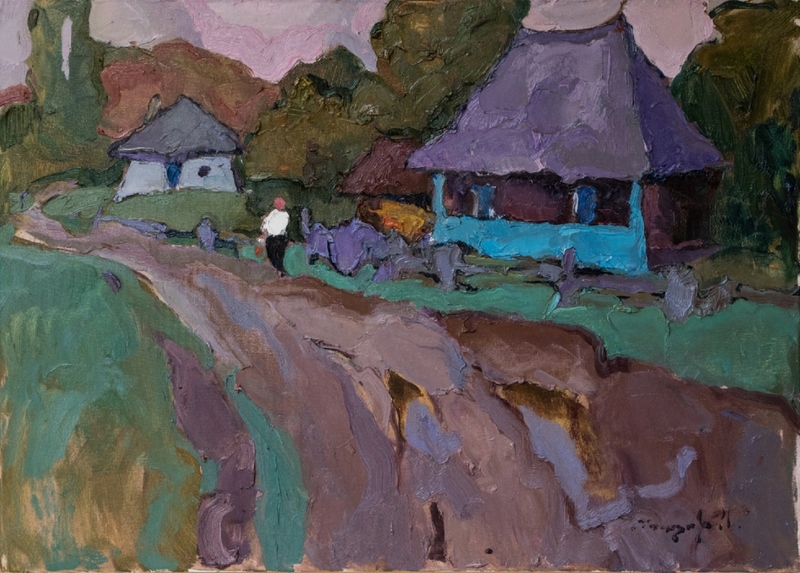 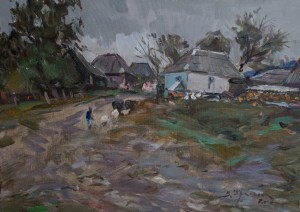 At the opening of the exhibition, an associate professor at the Transcarpathian Academy of Arts, Honoured Artist of Ukraine, one of the organizers of the plein air Anton Kovach remarked: "By itself, plein air is a common phenomenon, but here the intellectual and artistic potential of the nation is personified in the leading artists from Kharkiv, Lviv, Ivano-Frankivsk, Kyiv and Transcarpathia. 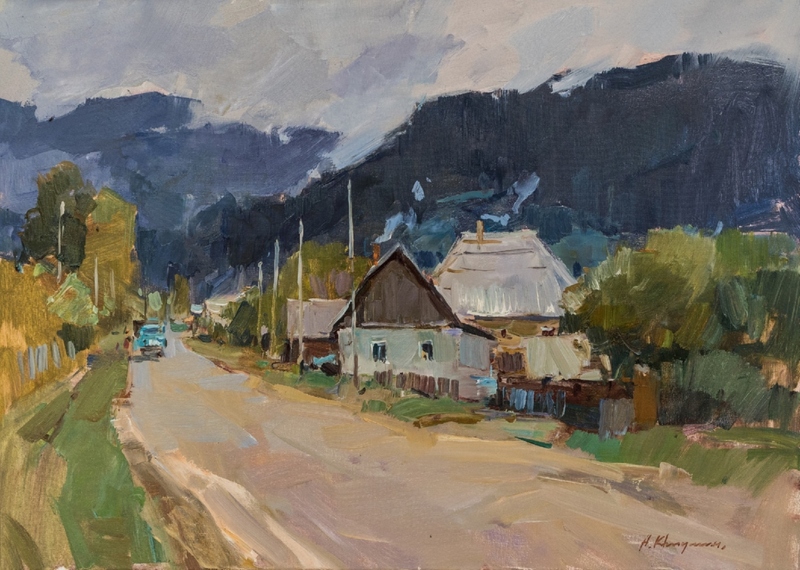 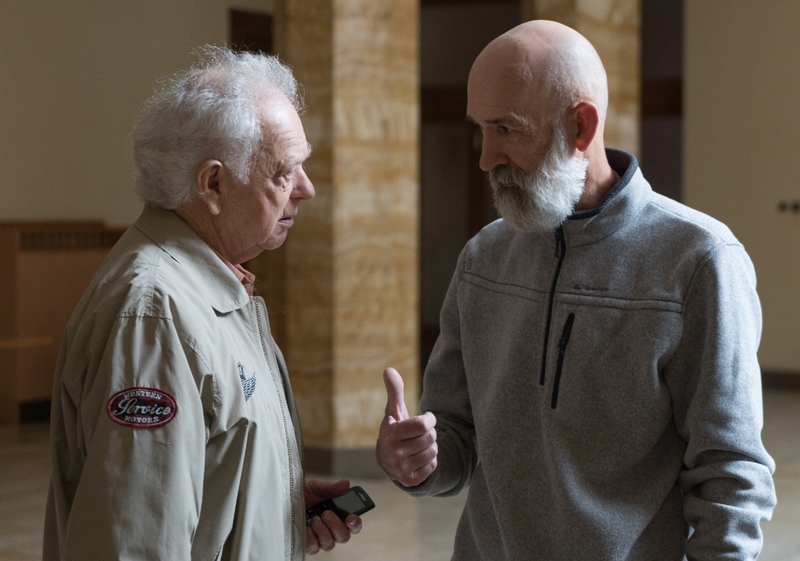 They have something to say to the world and humanity, because a lot of the artists present in the plein air the ornament not only of the Ukrainian visual process, but of the world art in general." 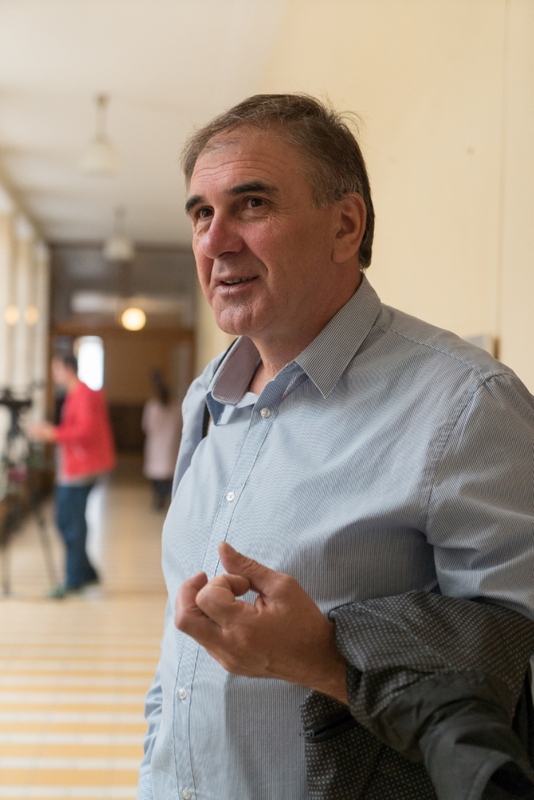 Vasyl Husti, the chairman of the Transcarpathian Regional Organization of the National Union of Writers of Ukraine, who was present at the exhibition, expressed his sincere admiration for the event...: "I was very pleased to witness the fact that so many artists of different ages and schools of painting were united by our nature, our silver land. 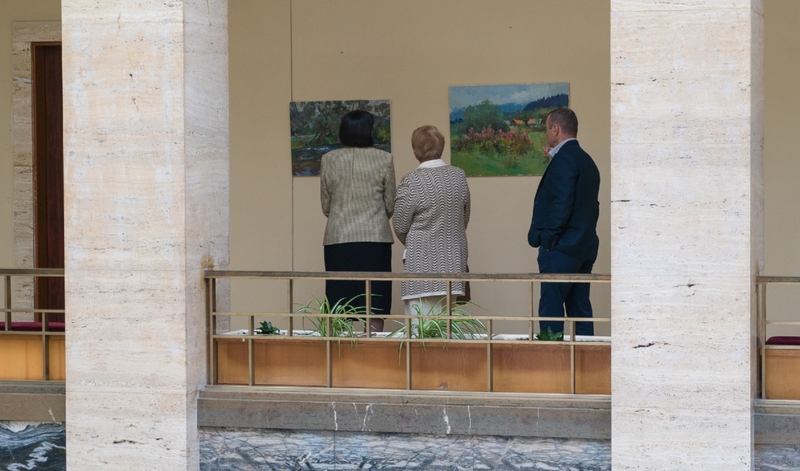 And, it inspires to promote such events, as well as support and improve them, because for a fulfilling life one needs a creative work in all of its manifestations." 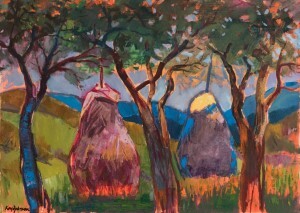 "Uzhok Motives. 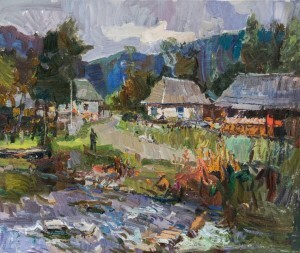 Emerald Colours of Stuzhytsia village"– a unique event, as for the first time plein air will end with the exhibition-contest. 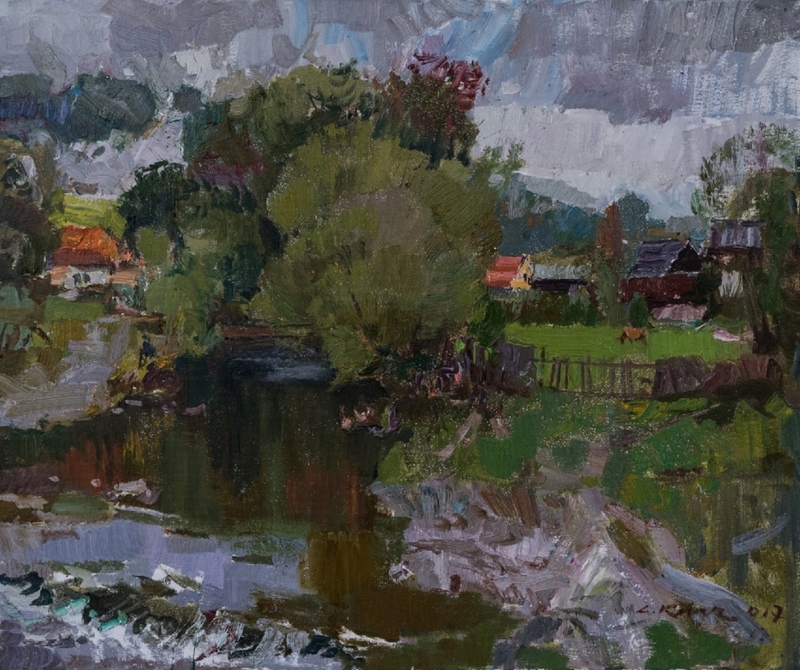 A respected jury consisting of Y. Dik, A. Kovach, I. Nebesnyk (junior), V. Brenzovych (senior), S. Kozodaiev and O. Koval will choose the best work, the author of which will receive a special prize – a silver brush. 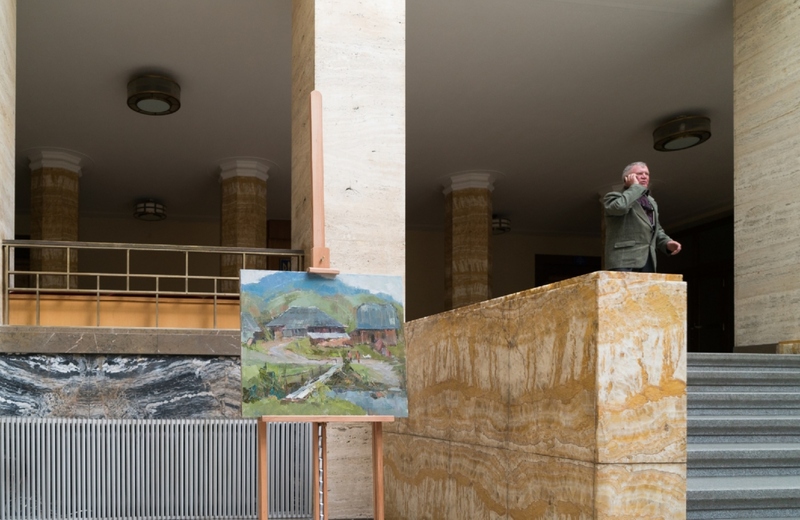 Selection of the winner, his awarding and closing of the exhibition will be held on September 29, 2017 in the atrium of the Transcarpathian Regional State Administration.